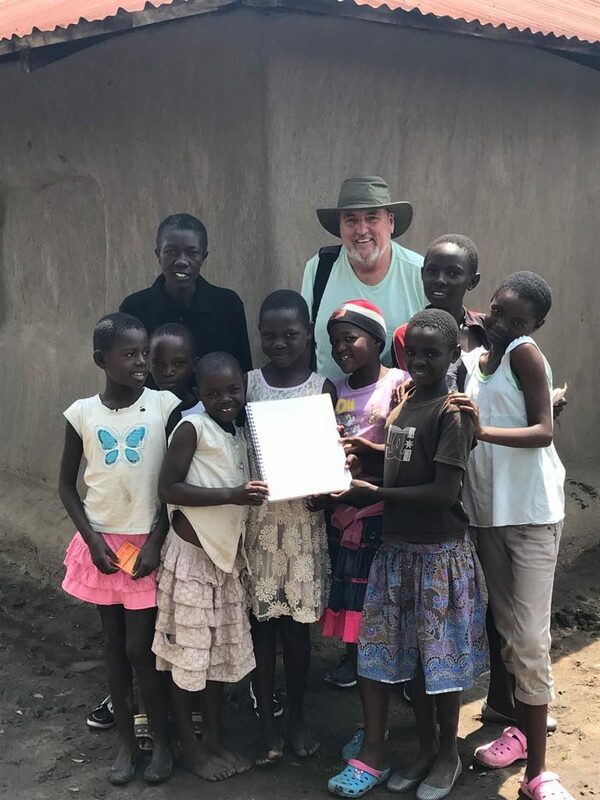 World Library Publications is proud to present Brother Mickey’s newest book, A HOLY MOSAIC, which illustrates selected inspirational messages from Pope Francis on Love, diversity, and the family. 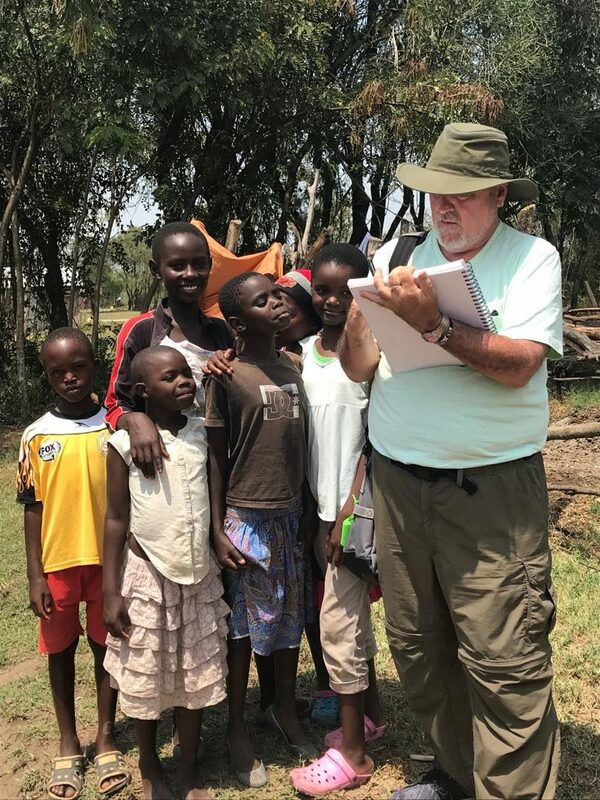 It inspires readers to look at the world through the eyes of compassion, to meet those who are marginalized, and to rediscover the joy of life found in everyday moments. The book is now available on line from World Library Publications, and if you wish to place your order today, please click on the link below. You can order your copy of this amazing book here. 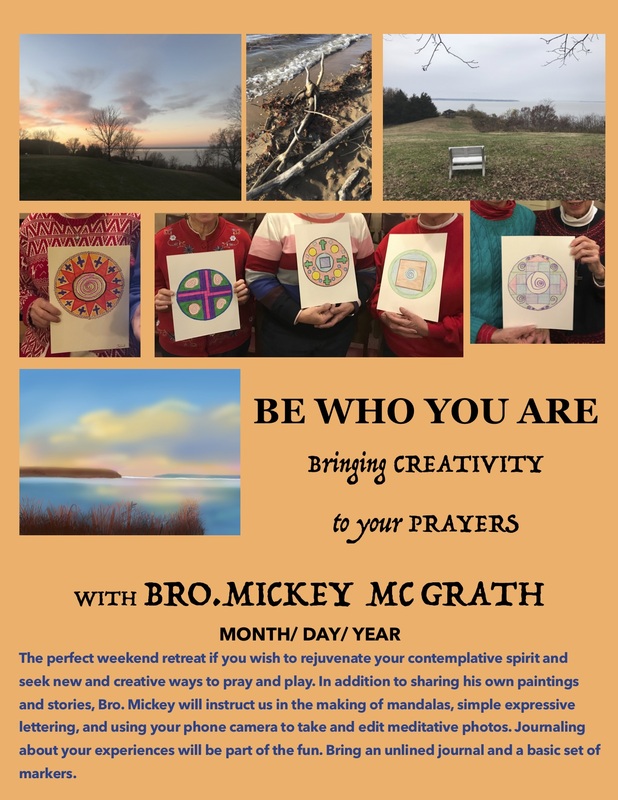 Brother Mickey is not your typical artist. 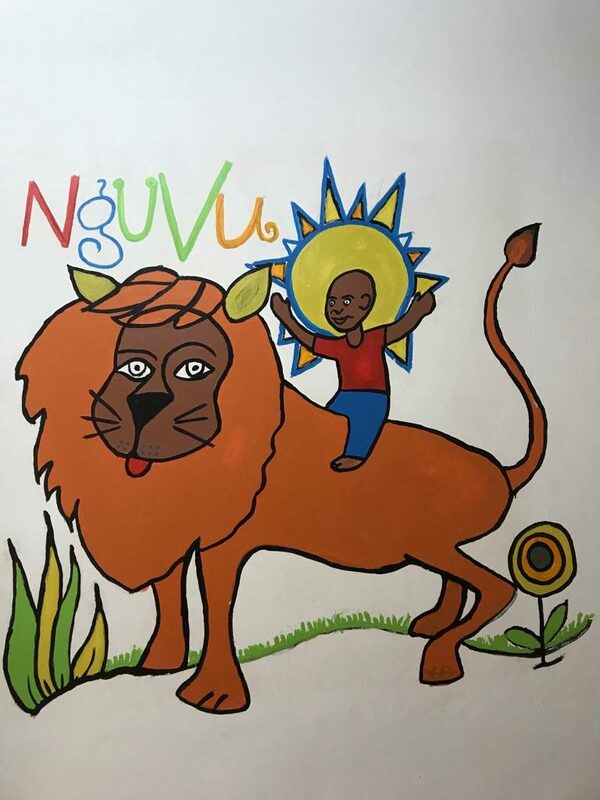 His unique perspective and abilities as a religious, writer, and speaker, allow him to create art for others to appreciate, but also to encourage those who hear him to open their minds to let beauty enter, and allow them to become part of it. 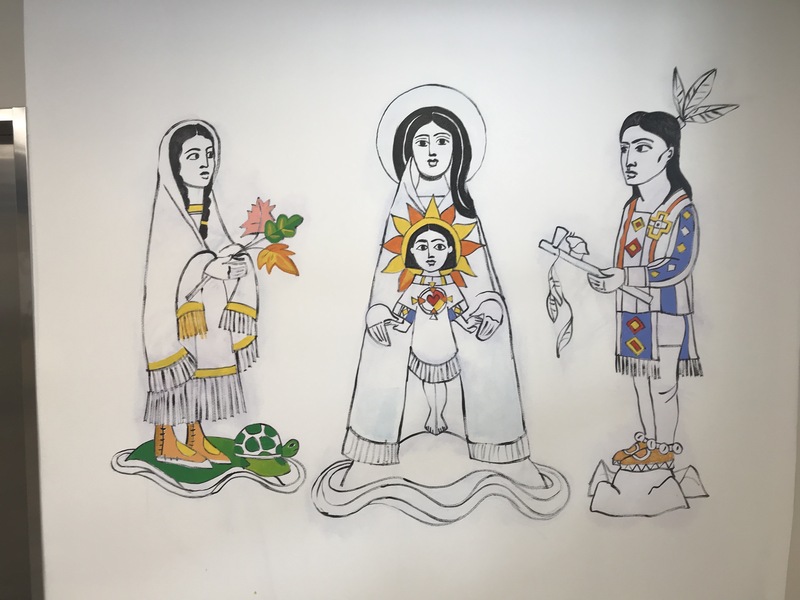 Brother Mickey’s latest adventure has taken him to St. Joseph Indian School in South Dakota, where he created a mural which included St. Katherine Tekakwitha, the Blessed Mother, and Black Elk, whose cause is up for cannonization. 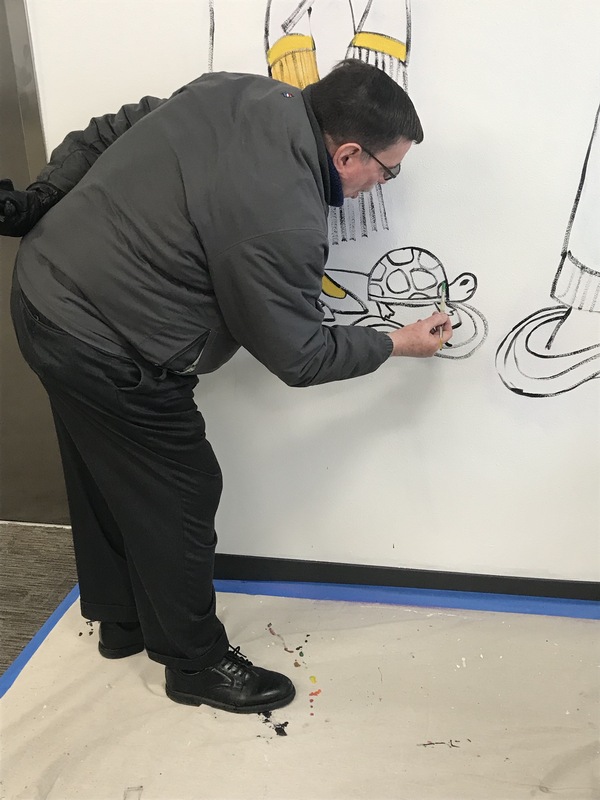 Much research went into designing the images and much excitement was generated at the school, as everyone passing by was invited to pick up a paint brush for a few minutes. 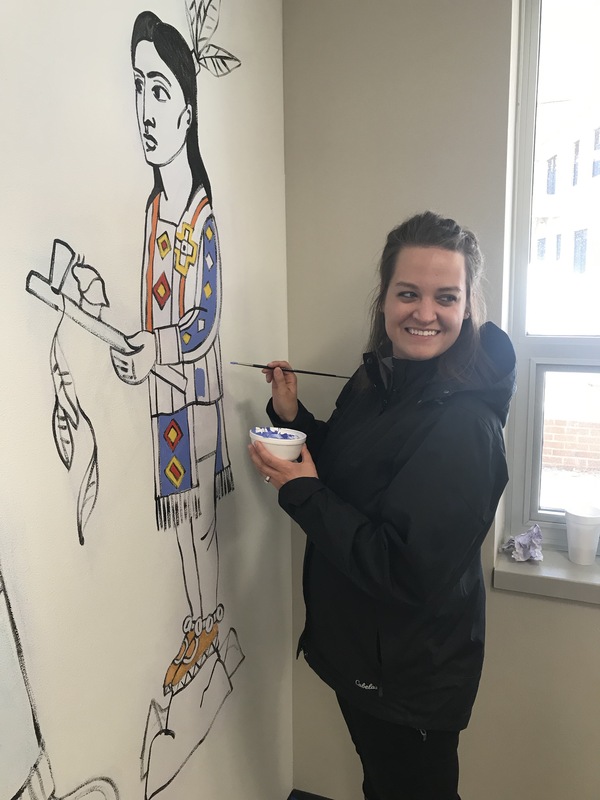 Mural project at St. Joseph’s Indian School in South Dakota. Brother Mickey explains the images and symbolism included. for each image. Brother Mickey’s 2019 Calendar called FLOWERS is on sale now, along with his 2018 Christmas Card. The Grandparent’s Christmas Card, and others from past years are also available. Go to the menu above and click on “shop” for more information! Lent is a perfect time to pay loving attention to your inner contemplative. 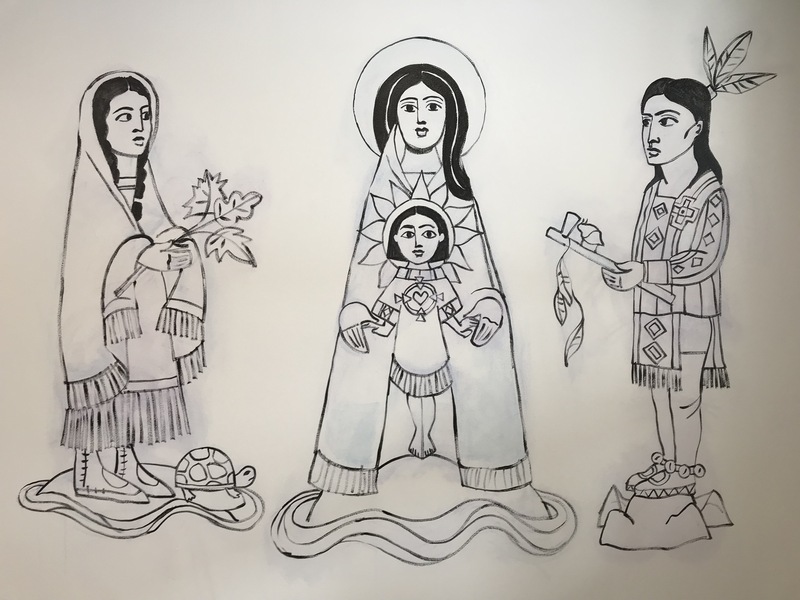 Join Brother Mickey as he shares his paintings, stories, and colorful insights inspired by the lives of select saints from Gospel days through modern times. Renew your hope and refresh your spirit with the help of these great figures from across time and space. On Saturday, May 19th, the blessing and dedication of a new Dorothy Day House took place in Memphis TN. 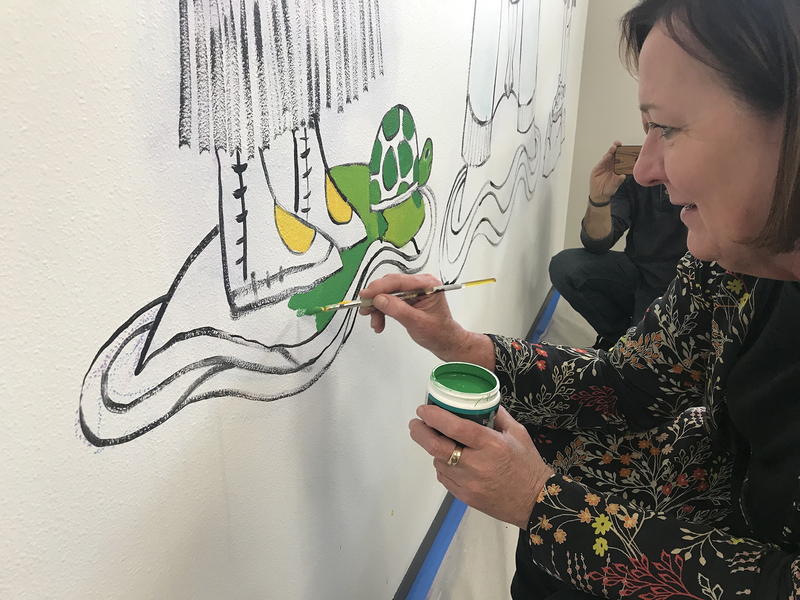 Sister Maureen Griner purchased one of Brother Mickey’s paintings, which had originally appeared in his book on Dorothy Day, so that everyone would be reminded of the importance of welcome and hospitality. The painting is called “All Are Welcome” and was framed and hung in time for the blessing and dedication. The following video was sent by Sister Maureen, so that we could all be part of the joy of this special day. On May 9th, Brother Mickey was inducted into the Hall of Fame at his High School Alma Mater, Father Judge in Northeast Philadelphia.